In online or inbound marketing much of lead generation strategy has to do with establishing a quid pro quo – this for that. We offer useful information about a product or service in exchange for a prospect’s contact information. When a website visitor types their name and email address into a form in order to download a whitepaper or sign up for a webinar, they go from being an anonymous prospect to being a known lead who has opted onto our marketing list. This is known as conversion. Now, not every visitor is at the same stage of the purchase process, which can be visualized as a funnel. Someone who is just starting to gather information about an item or service they’re thinking about maybe buying will want information, but be unwilling to give up much information in return. These visitors are considered to be at the top of the sales funnel – or ToFu. Our job is to engage them appropriately at this early point in their exploration and then build a relationship that pulls them through the bottom of the funnel to a purchase. The focus of this post is the top of the funnel and ToFu content offers. If we fail to match the TOFU content offer with what we’re asking for in return, we lose opportunities to convert visitors to leads. Here’s an example of what can happen. Recently, we worked with a client to develop a webinar and a related email campaign to introduce their service to a hard-to-reach audience. It was clearly a ToFu content offer. We created the webinar content and the email announcing it, which was sent to a qualified list. The client’s in-house marketing team created the registration landing page. The client was delighted that 25 participants signed up for the webinar. However, when we got the final statistics from the webinar service provider, we learned that more than 100 recipients of the email had clicked through to the registration landing page but failed to sign up. Obviously the webinar offer was compelling and reached the right people. So why did we lose more than 75% of their potential attendees? Did the registration landing page re-state the offer? Did the contact form require more than the name and email address? The answer to the first question was, “No.” Only the day, date and time, and the name of the webinar were re-stated; but not the key agenda and take-away points or information about the presenter and his qualifications. The answer to the second question was, “Yes.” The registration form also required a phone number. When someone clicks to get a piece of content or register for a webinar, it’s important that the landing page re-state the offer to reinforce the action we want them to take. And more important, it’s critical that the required fields in the contact form are appropriate to the level of the offer. In this case – a ToFu offer -- potential participants would probably not be ready to part with a phone number. They wouldn’t want to receive a follow up call. However, they would be okay with getting additional information via email, which calls for less commitment. The required phone number field - along with a lack of information on the landing page -- likely caused 75 potential leads to leave without registering. 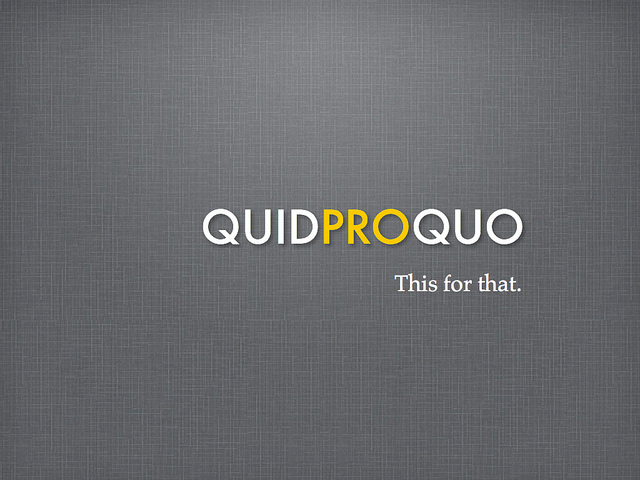 So, as this example clearly illustrates, matching quid to pro quo is the path to more productive online lead generation. How are you converting leads using online content? Click the button below to get more lead generation info. The image is from Jon Gosier's Flickr photostream under Creative Commons license. I recently read highlights of a survey by Ragan Communications and NASDAQ OMX Corporate Solutions assessing how some 2700 organizations – for-profit, non-profit and government – are implementing social media. The study makes clear that, in general, the respondents are taking a tactical approach. There is very little strategy. This is because it seems that they are not recognizing the value of having a social media specialist – let alone a strategist -- handle this part of today’s marketing mix. Here are two pieces of data that are particularly interesting to this inbound marketing consultant. Sixty five percent of the surveyed organizations pile social media on top of other responsibilities, while only 27 percent have someone who focuses exclusively on social media. Seventy percent of respondents are either "dissatisfied" or only "somewhat satisfied" with how they measure their social media efforts, compared to a mere 31 percent who are "satisfied" or "very satisfied." Many don’t make the time and resources available to track data and/or admit that they don’t even know what to track. The scary part of this for marketers and those charged with getting bottom line results is that social media constitutes only a fraction of the marketing mix in our digital age. According to colleague Paul Roetzer, founder and CEO of PR 2020 and author of The Marketing Agency Blueprint, this is all part of a larger issue – a talent gap that’s impeding successful marketing implementation – for both marketing agencies and their clients. Today’s marketer needs to be a hybrid beast – a copyrighter, an analytics expert, a Pay Per Click advertising pro, a website designer and user experience consultant and much more. The hybrid marketer doesn’t have to DO everything – that’s impossible. But they have to understand the big picture and know what to assess, what channels should be considered for a particular campaign or an overall marketing plan. They need to understand how Buyer Personae figure into targeting and messaging and brand positioning. Paul Roetzer addressed a bunch of his fellow HubSpot partners last week on this talent gap topic and cited an eye-opening statistic: Consumers consult 10.4 information sources before making a purchase as opposed to half that number in 2010. This means that companies have to get their acts together to intersect with customer journeys – the cross channel, multi device paths that customers control and that lead to their buying decisions. 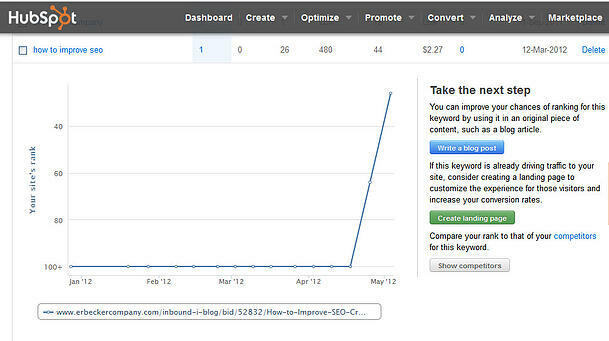 That’s what Inbound Marketing does. And it takes more than someone in marketing communications being tasked with ‘doing social media’ on top of their other responsibilities. There are increasingly robust tools available to leverage lean in-house resources. Check out www.blueconic.com -- an enterprise level tech platform that can continuously profile millions of website visitors and use the information to fuel in-the-moment dialogues that guide the customer journey. But before you can implement the right tools, you need to understand why you need them in the first place. This requires acknowledging that marketing has changed, and that we need different talent to create and implement winning programs. Part of it is evolving hiring criteria for in-house and agency resources. Companies also have to create silo-breaking training for marketing personnel that makes seeing the big picture the foundation for success. While you're here download our Social Media Whitepaper with our compliments. The image at the top of this post is from the Flickr Photostream of cambodia4kidsorg under Creative Commons license. My last post was described as the final in a 'How to Improve SEO' series. Not quite so, as the title of this post will attest. I began writing these posts primarily because I'm working with so many clients lately to add optimization to their sites, fix sites with poorly selected search terms and to improve usability. There's so much misinformation or downright lack of information about SEO that I felt it was high time to address it in the blog. There was another reason for the series tied to my own marketing. Although I do alot of SEO work and have been quite successful in getting my clients ranking on page one for important keywords, in my own search engine rankings, I was absolutely nowhere to be found for search terms related to SEO. Every piece of content we add to our sites is an opportunity to optimize and rank for another keyword. I use my own marketing as lab and role model for what I teach my clients so I decided it would be a good experiment to go from 'off the radar screen' to high ranking for the term 'How to Improve SEO'. I began the series of blog posts optimized for 'How to Improve SEO' on March 12th. After publishing them, I publicized them with a link on social media - Facebook, Twitter, LinkedIn (including about 15 LinkedIn Groups) and - most important - Google+. I believe that Google+ is a lynchpin in successful SEO strategies because when I publicize on G+ my posts are indexed by Google within 48 hours. I know this because I maintain a Google Alert on my website url. When I get an alert about a new post, it means that it's been indexed. On the morning of May 3rd, I checked my ranking for 'How to Improve SEO' for the first time since starting the series and - I had position 64! This put me on about page 5 or 6. Later that morning, I received a Google Alert on the latest post published a couple of days before. When I checked my ranking again later that evening I found that I'd moved up to position 26!! About page 2 or 3. By the way - I find my rankings right in my HubSpot software along with all other manner of measurement and analytics. The chart shown above from my HubSpot Keywords tool shows you exactly when my ranking for ‘How to Improve SEO’ started to shoot up – a fast 5 weeks after the first post of the series. The results of this experiment led me to share the story as a personal case study in this additional post while, at the same time, taking the opportunity to move to Page 1 by blogging once more on the search term. I'll let you know what happens. This inbound marketing stuff really works, dear readers. Why wouldn't you want to do something that's proven to work? While you're here, learn 20 more reasons why you should use Inbound Marketing. This is the last in the current SEO series on the inbound-i blog - about usability. And I want to leave you with one thought. Please, please stop focusing on your home page. If you really want to have an SEO strategy, then you have to look at every page, every blog post, every piece of content you post on your website as an opportunity to come up on page one of Google search results for a different search term. As long as you’re stuck on creating the perfect home page, you’re delaying putting focus where it should be: attracting diverse visitors to your website via whichever access point is most relevant to them. For many or most prospects, it will not be your home page. The home page by definition is a hodge-podge. Yes. Go for some broader, harder to rank for search terms for your home page. You’d might as well. Most people who reach your home page already know you and have plugged your url into a search field. If they land there by chance or mistake, they won’t find what they’re looking for and will bounce off. But to really generate leads – attracting those who don’t know you yet, but are searching for services/products like yours -- build content for specific offerings and optimize those content pages to attract more targeted search. When someone hits your home page, they will likely see a diversity of messages and offerings. Try to make one visible block of content a validation that the visitor is in the right place to find info in your field. Let them know that generally they’re in the right place. And let search engines know, too, using meta data and other signals that we’ve discussed in earlier posts. Across the board, make navigation consistent throughout your website so that visitors don’t have to relearn it on every page. We’re working on a site now where certain important information – how about the blog – is only accessible from the home page. We’re optimizing the site so that visitors who can benefit from info on the blog will enter from multiple places on the site. So we’re putting the blog in the main navigation bar. In explaining why website navigation must be consistent throughout the site, my esteemed colleague Bernadette Nelson at Studio-B Visual Communication (www.studiob-ct.com) always tells clients, “What would happen if every time you got into your car, the controls were in a different spot?” The same holds true for how visitors navigate around your website. Don’t make them learn something new on every page, or they’ll go somewhere else. Help people buy and you’ll get found by search engines!! And if you're hungry for more Inbound Marketing information, download this fact sheet. The Home Page Hodge Podge image is from the Flickr photostream of DanielaMeleo under Creative Commons license. This is the second in our SEO series. Optimizing your website is probably the top way to leapfrog your competition today in my opinion. The basic building block of SEO – and all online marketing -- is the keyword or search term. There are free research tools to learn how your prospects are actually searching for your products/services. The words they use may never occur to you. But you can discover them and use them to drive traffic to your website from these active searchers. Here’s how to start researching keywords. Click on this link to Google’s free keyword tool. It was developed to help companies target Adwords in Pay Per Click (PPC) campaigns. It’s also very useful in organic (unpaid) search. Here’s what to do. In the search field type in keywords and search terms that you believe are important in your industry. In the left column of the tool, you’ll see an option called Match Type. Select the option that says Exact Match. This will return you suggestions related to the exact broad term you typed in. The suggestions provided are based on actual searches that have happened over the past month. Refer to the column marked ‘Local’ which is the searches performed in your country. The Global search column is for searches worldwide. The second column from the left tells you the difficulty – or competition -- of ranking for the search term. The lower the number, the easier to rank for it on Page one of search results. 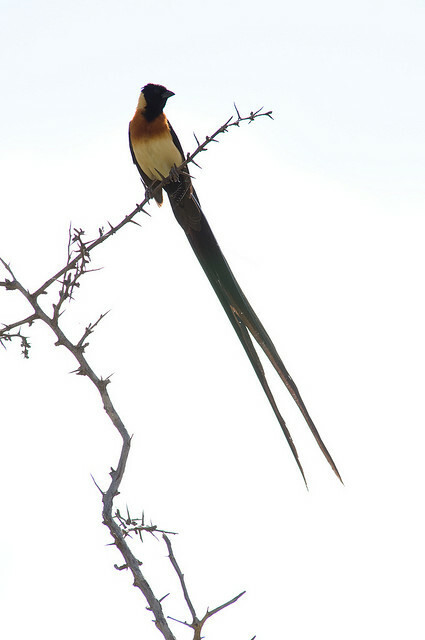 The suggested search terms are considered “longtail” search terms. For example, a recent search for the exact broad search term Social Media Marketing revealed 22,200 local monthly searches and competition of .92. The longtail search term “using social media for marketing” only had 480 local searches but had a competition of only .62. Plus, those 480 people are more likely to be interested in finding help using social media for marketing rather than those who may be seeking broader information. That would be an interesting longtail search term for me. You’ll make similar search term decisions for yur own industry. Keyword research is not an exact science and it’s a bit of an art. As you’ll discover, there are thousands of ways that prospects may search for your products or services. It’s humbling, actually, and important motivation for dropping jargon from our marketing language. The best advice I can offer is to explore, experiment and analyze. HubSpot has keyword tools and analytics built in, including your ranking for specific keywords. There are other tools out there like Keyword Spy, which also gives you competitive intelligence. Optimizing your web pages and content based on keyword research will pay off in more traffic to your site from targeted prospects. 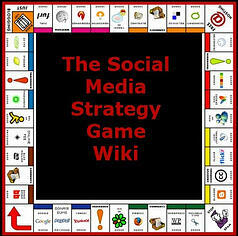 As you consider your keyword strategy learn more about another key element of ranking for search terms - Social Media. Download your free White Paper. The Longtail image is from the Flickr photostream of Mister-E chris Eason under Creative Commons license. Each day I read through a couple of dozen blogs and marketing newsletters to keep up on what’s happening in online/inbound marketing. Most of those articles are ‘How To’s’ about any number of digital tools and techniques. 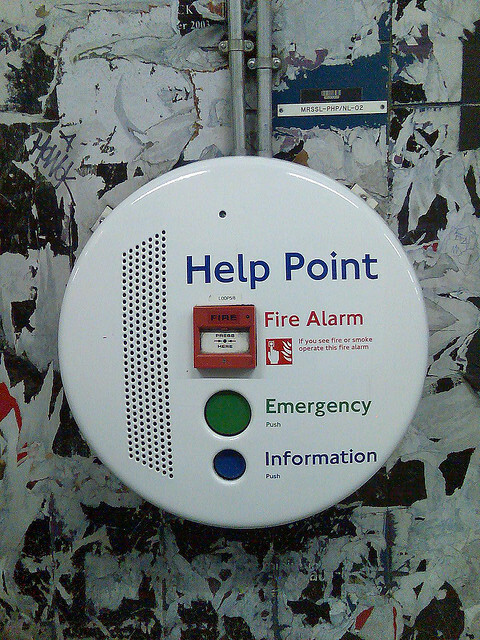 They’re important because when we decide to use a tool for solving a problem it’s good to know what to do. Where my eyes, ears and brain cells perk up more, though, is when I read something that explains ‘Why’ I or my clients should consider doing something in Inbound marketing. The roadblocks that emerge when I speak to clients and potential clients about Inbound Marketing is that they get stuck on the ‘How To’. I will venture to speculate that the preoccupation with ‘How To’ is a way to avoid focusing on ‘Why’ doing it is or is not a good idea. 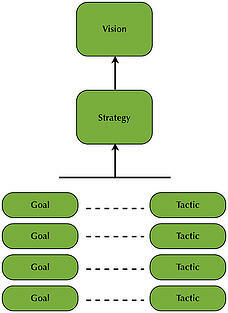 It’s the battle between Tactics (How To) and Strategy (Why To). If there’s a great reason, ‘Why’, we can figure out, ‘How’. It doesn’t work so well the other way around. You can eat, sleep and breathe the ‘How To’. But if there’s no reason ‘Why To’, the efforts are a complete waste of time and dollars. Learn much more about Inbound Marketing Strategy and Tactics. Download your Free eBook. Graphic is from the Flickr photostream of docbaty under Creative Commons license. New Year’s is the point in the year where we become hyper-focused on time. We take looks back and we try to forecast ahead. There’s something positive to be said for these moments when we celebrate accomplishments, analyze failures and do some planning. But for this post I’d like to look at time in a slightly different way. As we evaluate life, what do we keep, what do we cast off, what do we synthesize into something new? I’ve been thinking that the ability to synthesize is how we keep ourselves timeless. This implies that we keep moving forward and learning. And it also implies that we keep applying what we know to what we’re trying to learn – paying our knowledge forward in a sense. Not just an eye to the past and an eye to the future, but a continuous creative roll, fueled by experience and curiosity. It’s certainly one way to deal with life’s endless changes that’ve accelerated considerably in the past decade. When I started blogging in 2008, my blog was called New PR Words – And Music! It was intended to comment on my evolution from a traditional PR professional to an online marketer. 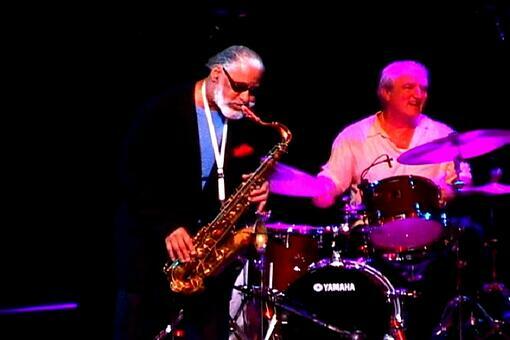 It was also a way for me to share my passion for music – especially jazz. Almost every post included a tune from my music collection that somehow related to the topic at hand. In the years since then, I’ve concentrated my business on Inbound Marketing. Today I work with only a few clients on media relations and traditional PR. All new business is related to Inbound Marketing – Websites, Blogging, Content Development, Social Media, SEO, Lead Generation, Landing Pages, Lead Nurturing and Analytics. I still use almost all of what I used in developing PR programs for my clients – Communications Strategy and Positioning, Messaging, Storytelling, Writing, Reputation and Crisis Management. These all apply to developing effective Inbound Marketing programs. I’ve synthesized that timeless knowledge with the new tools, tactics and techniques I’ve learned and created an entire new set of services that are timely for today. So, a couple of months ago, I started this – the inbound-i blog -- dedicated to my current focus on Inbound Marketing. It was not easy to turn New PR Words – And Music! into an archive because it had become beloved online turf to me. For that reason, I’ve decided that from time to time, I’ll share some music with you here on the inbound-i blog. For this post I chose a fabulous musical example of synthesis. Back in the late 1960’s I loved pianist Sergio Mendes & Brazil ’66. Mendes was one of the first to introduce Samba and Brazilian composers to the US music scene. Wishing you all a synthesized and timeless 2012! This time of year, bloggers tend to look back at the year soon-to-end and prognosticate about the one yet to come. Instead, I’m thinking about some people I admire who have traits that we can all emulate as we plan for success. On Friday evening, Jeff and I kicked off our sixth anniversary weekend at Marianacci’s, an Italian restaurant in Port Chester, New York that features jazz on the weekends. (For new readers…I’m a jazz fan-atic!) The regular drummer is Joe Corsello – when he’s on his home turf. Much of the time he’s on tour with legendary jazz saxophonist Sonny Rollins, who is one of this year’s Kennedy Center Honorees. This comment got my wheels turning. Most of us have been taught the conventional way to do whatever it is we’re pursuing - including inbound marketing. Maybe the key to success is adapting what we learn to what works for us, or looking for new ways to apply proven methods. If the end result meets the need or solves the problem – and our achievements feel good and natural to us – it sounds like success to me! Joe Corsello has marched to his own unconventional drummer in another interesting way. After an amazing early career in the 1970’s playing in the ensembles of Benny Goodman, Marian McPartland, Zoot Sims and singer Peggy Lee, he quit the business to become a police officer in Stamford, Connecticut. After a 22-year career in law enforcement he retired. Fortunately for us jazz lovers, this kind and generous guy is behind the drum kit once again sharing with us his musical gifts. I don’t really care who they are until I know that they have what I’m looking for. Do you? Once I know that they get me and what I’m looking for, I’ll drill down further to see if I like the people behind the company and believe that they can and will deliver on their promises. Of course, I can – and do - ask my network if anyone’s had an experience with that company and factor those opinions into my buying decision. Am I any different than the people searching for services like mine? I don’t think so. When we’re about to spend our hard-earned cash, we want to spend it with people and companies that demonstrate that they understand our needs and have put together thoughtful products to help us. Our communications messages must convey that right up front. Have you positioned your website communications in terms of the problems they solve for your customers? The image is from the Flickr photostream of markhillary under Creative Commons license.